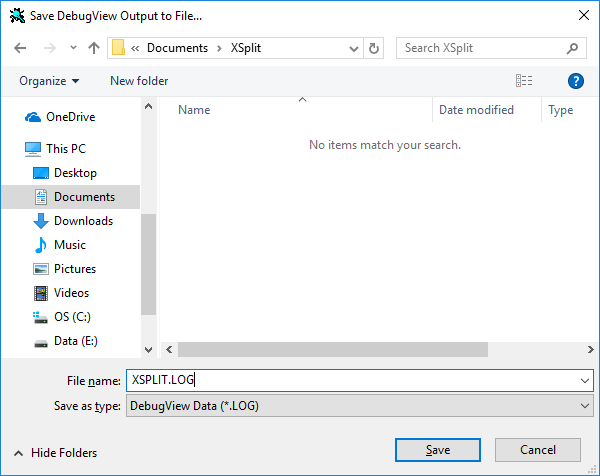 You can use Microsoft's DebugView tool to perform comprehensive logging used for searching errors and troubleshooting. 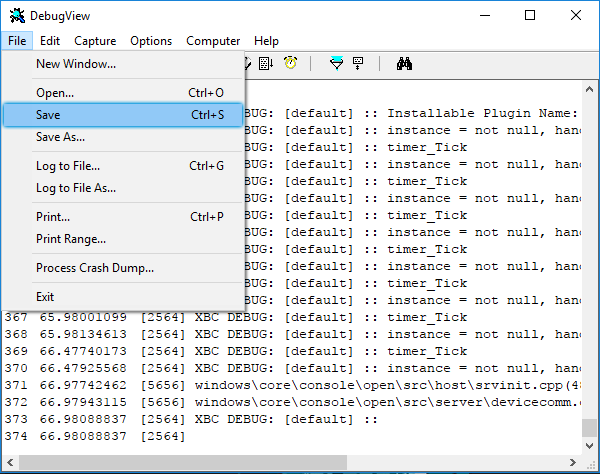 Click here to download DebugView. 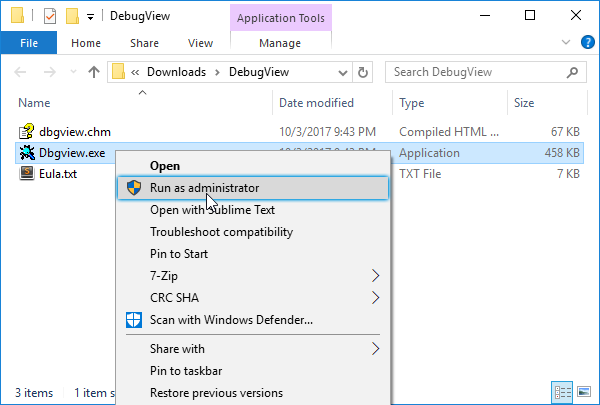 Run DebugView as an administrator. Launch XSplit Gamecaster then recreate the issue that you have been encountering. On DebugView, go to File > Save. We recommended choosing a folder and filename that can easily be remembered and accessed.